It’s that time of the year again, folks! 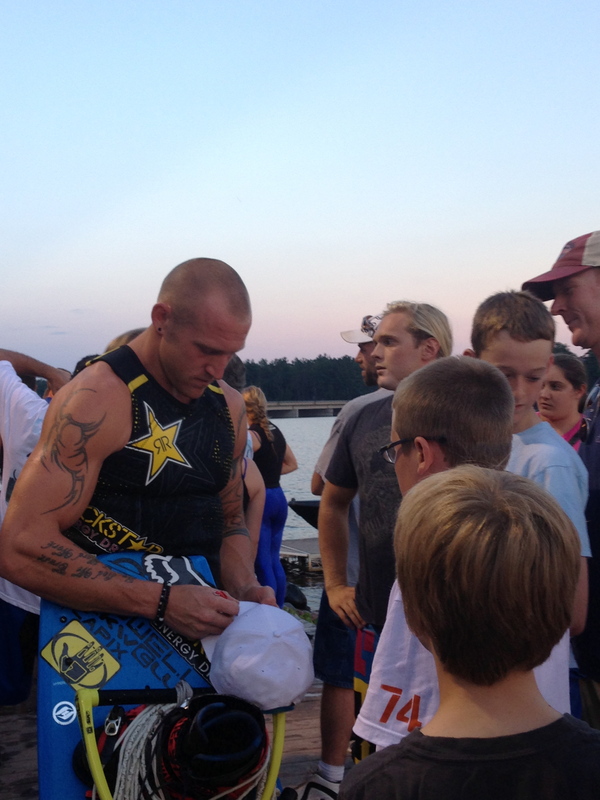 The world famous wakeboarding team from Fox is gearing up for another summer event. 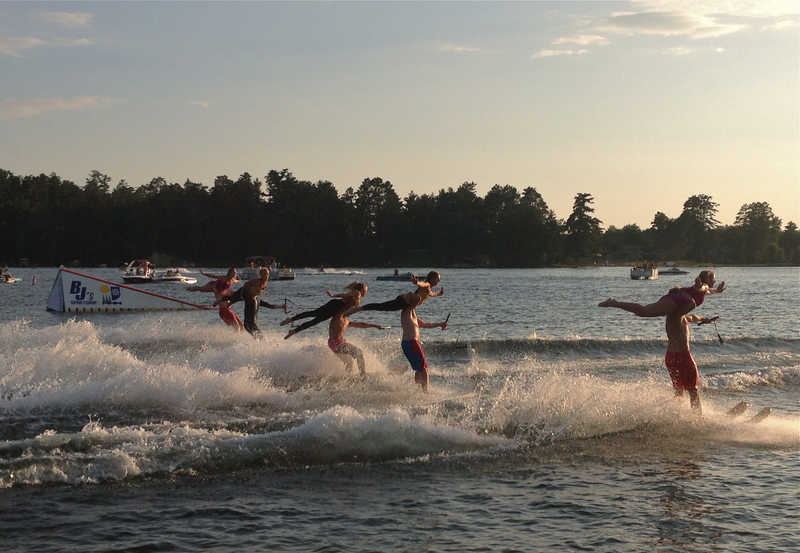 As a part of their Wake the Dead 3 tour on July 17th and 18th, the team will be in Minocqua, Wisconsin for the Min-Aqua Bats Waterski Show. The last go around for the Fox team at this event was in 2013 and this year’s comeback is looking to be even better than before. Fox’s lineup for this event is made from the best of the best. These mega talented guys will be performing during halftime of the Min-Aqua Bats Waterski Show on July 17th. The show begins at 7 p.m. and is free to the general public. 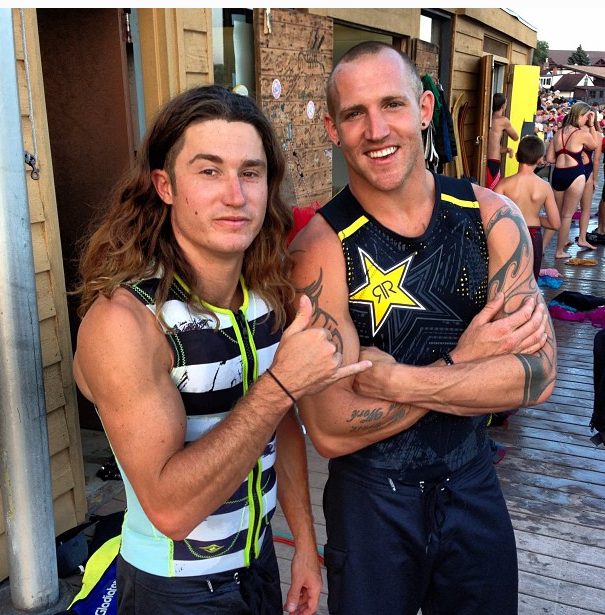 The next day, Saturday July 18th, all of the guys will be at our Minocqua store location signing autographs and doing a meet and greet starting at 11 a.m..
As if that’s not sweet enough, Fox has provided Glik’s with a wakeboard that will be autographed by these guys! You can enter for a chance to win this stellar prize in store. Don’t miss your change to attend this family friendly event and witness these accomplished athletes in person! Stay tuned for more coverage on the Fox Wake the Dead 3 Tour and find out how to be entered to win a custom Fox Nautique G23 boat later this year! 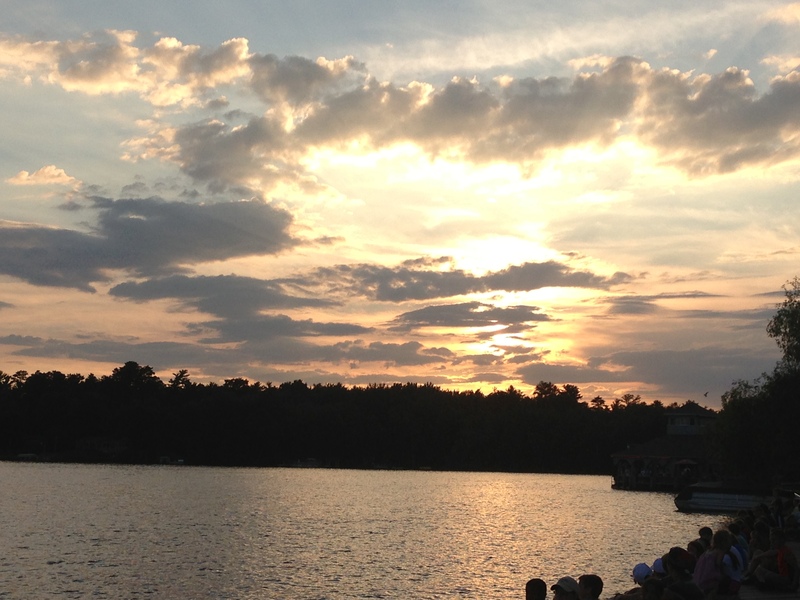 The Glik’s team traveled to the beautiful Minocqua, Wisconsin to attend the Minocqua Blast Fox Wake event last week! 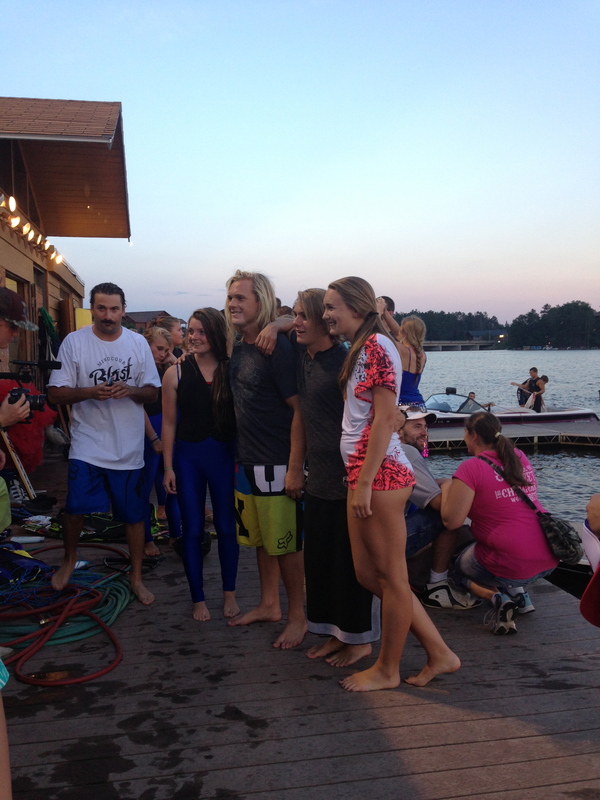 Besides traveling to an incredible lakeside destination, we were able to watch the Min-Aqua Bats perform alongside some talented Fox Wake Riders. 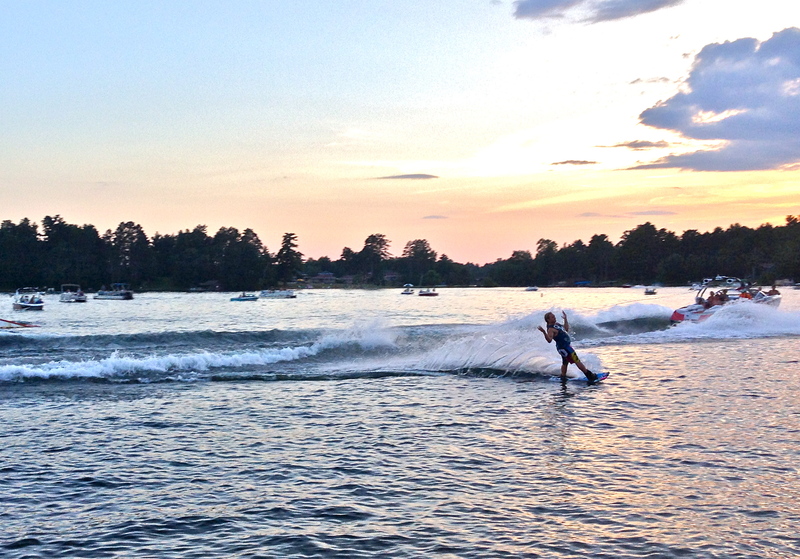 Rusty Malinoski, Jimmy Lariche, and Gus and Gunnar Shuler are the Fox Wake Riders that performed on July 17th on Lake Minocqua. The turnout for the event was huge! 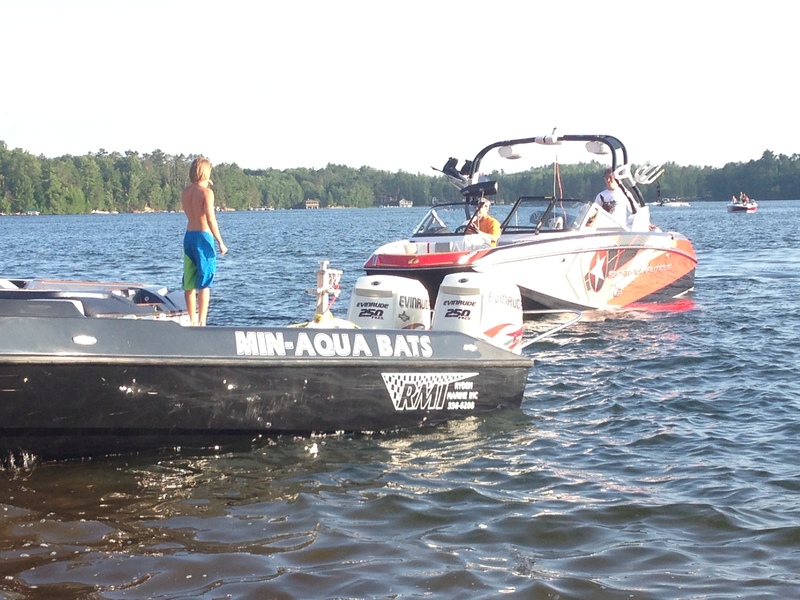 The Min-Aqua Bats are a team of wakeboarders that perform twice a week in Minocqua during the summer. The team is made up of young girls and boys who have a passion for riding and performing. 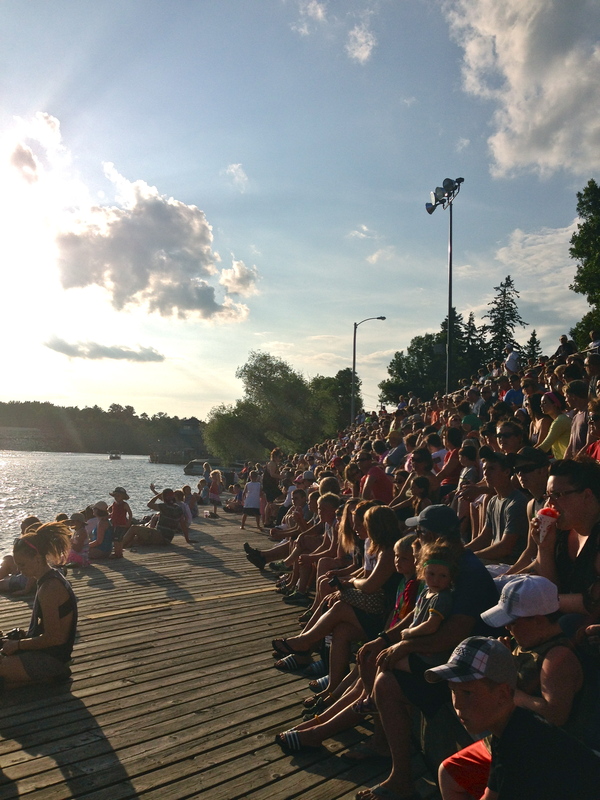 The turnout for the Min-Aqua Bats show is always great, but the crowd last Wednesday night was one of the biggest according to Minocqua locals. People were scanning the deck for the famous Fox riders, hoping to catch a close up glance before they went out onto the water. The performance was fantastic! The Min-Aqua Bats put on a fun and entertaining show and the Fox riders took to the water during half time for their exclusive demo performance. The riders were phenomenal, and the setting sun reflecting in the boat’s pathways only added to the performance. When the Fox riders finished their performance and walked up through the stands to make their way back to the Fox bus, they were surrounded by fans. Everyone wanted to snap a picture with these industry professionals. Children were getting parts of their body signed, mothers and fathers were ushering their kids forward to get a picture and a chance to meet the riders face to face. Jimmy, Rusty, Gus, and Gunnar did not let the fans down. They enjoyed the admiration and gladly posed for photos and autographed memorabilia for the fans. 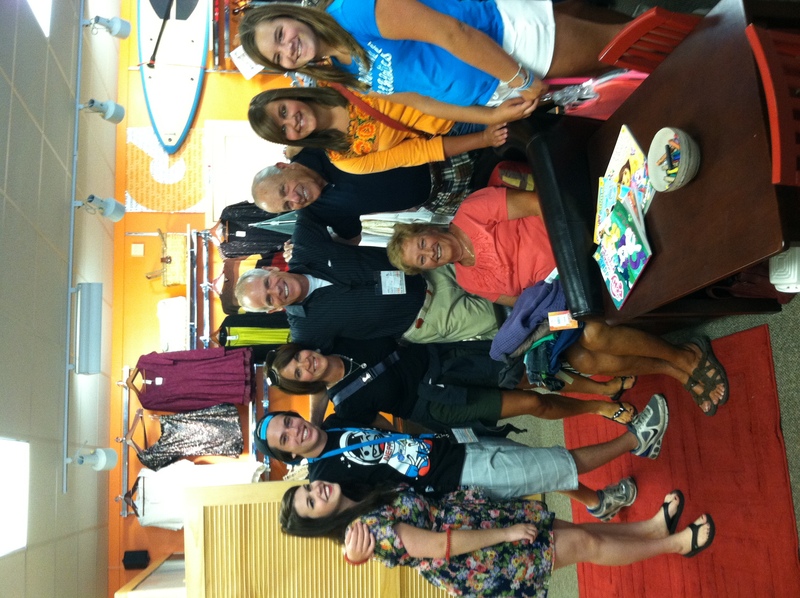 On Thursday, July 18th, the riders came by our Glik’s store located in downtown Minocqua to sign autographs for Fox fans. The turnout was huge! Judy, one of the store managers of the Minocqua store, said it was the largest crowd they had ever seen for a Fox signing! 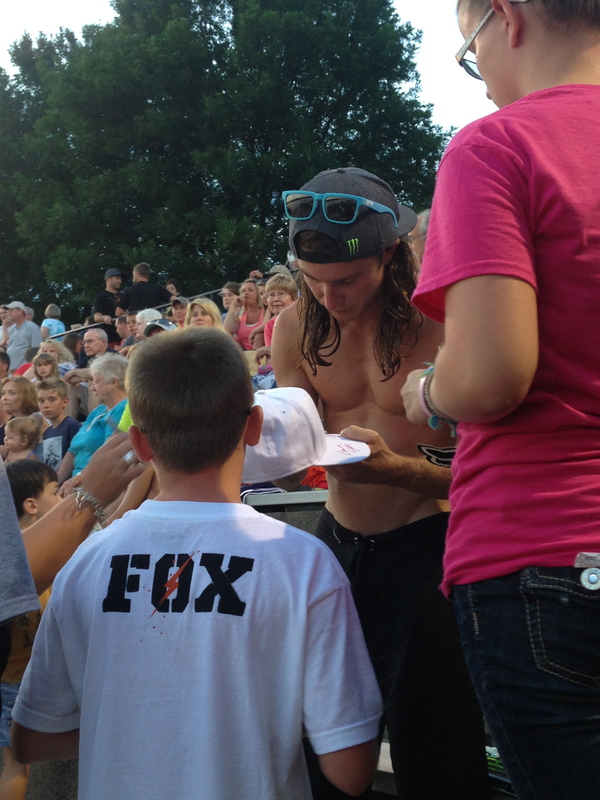 It was a blast hanging out with the Fox team and watching the fans’ excitement. Thanks so much to the Fox Team and Rusty, Jimmy, Gus, and Gunnar for coming out to help with this awesome event! Find us on Instagram at glikclick for more highlights and footage of the event! 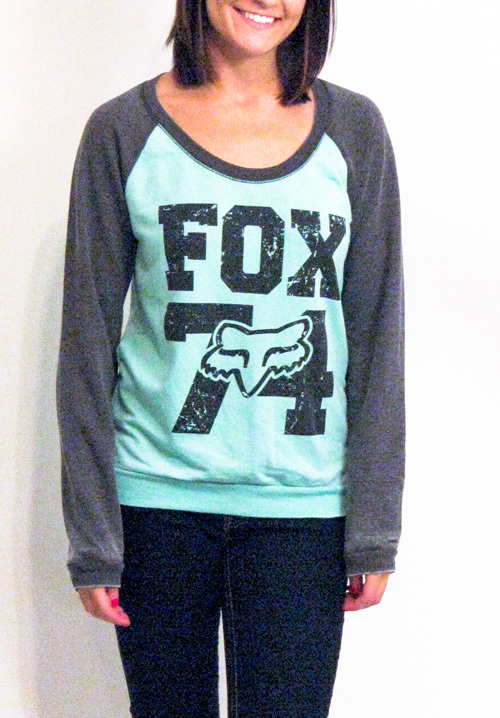 You can find Fox apparel on our website or at one of our Glik’s locations. Okay guys, it’s safe to say that summer is finally here and every man is in need of a quality pair of boardshorts, NOT a pair of cutoffs made from jeans that won’t survive another winter. Besides, “jorts” (jean shorts) on men are a HUGE fashion DON’T rule that continues to be broken by males everywhere. Whether you’re at the pool, at the lake, in a boat on the river, or you’re blessed to be beachside, boardshorts are a must-have for men! 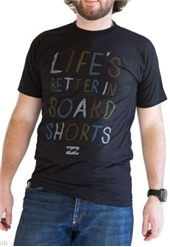 There is only one downside to the boardshort, and that is eventually you have to go from waterside to the streets or out to eat, etc. This meant that you will have to pack a change of bottoms. 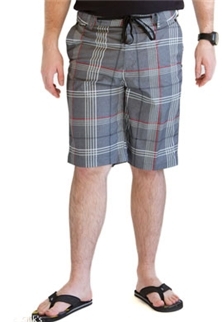 Granted, some guys can pull of the boardshorts on the street “look,” but there are still a majority of men who can’t. This is where the hybrid short comes in. Thanks to this ah-mazing new concept, men all-over do not have to change from bathing suit to street wear anymore. 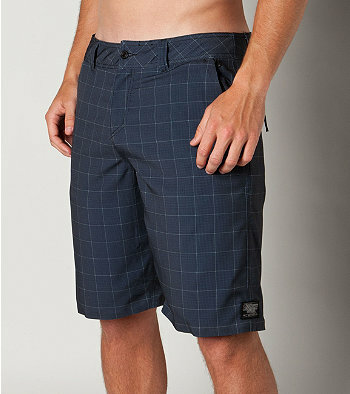 Hybrid shorts are exactly what their name claims: a short that can be worn both in and out of the water. They are made of fast drying material and feature pockets that are secure in the water, yet look normal out of the water. 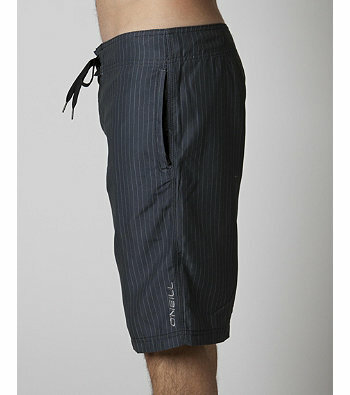 When I first saw the Hybrid Freak from O’Neill, at first glance I would have not categorized them as a boardshort. 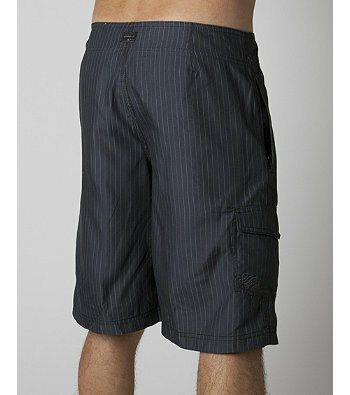 Some look exactly like a normal pair of shorts sporting an outward button fly with interior draw cord, hand side pockets, and back flap stow pockets. Cool Feature: the side hand pockets can be zipped up while you’re in the water and zipped open once you’re ready to hit the town. 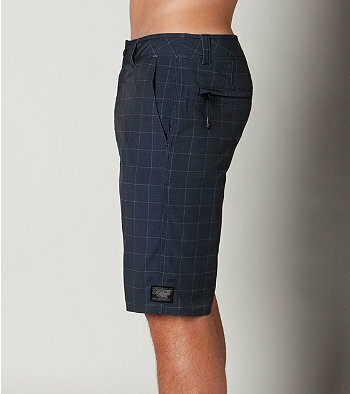 The Wall Street Hybrid short from O’Neill is similar to that of a normal boardshort “look” featuring a tie closure, side Velcro cargo pocket, and no back pockets. 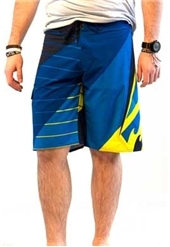 Another perk of the hybrid shorts is that they are available in patterns and colors that are tyoically reserved for casual shorts verses the loud colors and graphics normally seen in boardshorts. 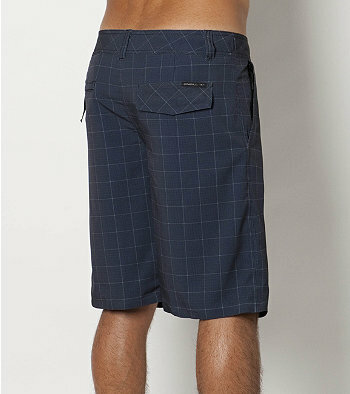 Hybrid shorts are usually available in conservative patterns such as plaids, stripes and all-over solid colors. 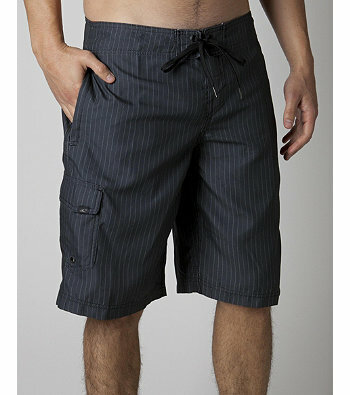 Overall, I feel that the hybrid boardshort is a summer essential for any guy and a must-have for this 2012 summer season. What’s your opinion on hybrid shorts? Would you wear them? 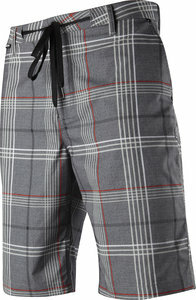 You can visit us online at gliks.com to see these and other available hybrid boardshorts styles. I have always wondered whether men can get away with wearing tank tops? Once upon a time, this invoked thoughts of men with big bellies wearing thin white ribbed “wife-beaters” soiled with dirt, grease stains and smeared with food smudges where hands have been wiped. These images would come to mind and I would get this unsettling feeling of disgust. Nice visual, right? Good news. They aren’t just considered underwear anymore. Men’s tank tops have come a long way since the “wife-beater” days. I was never a fan of that name anyway. 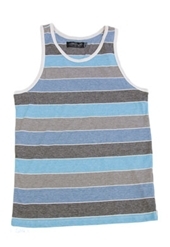 Now men’s tanks come in all kinds of fabrics, colors and styles and they have become an essential in men’s basic summer fashion. 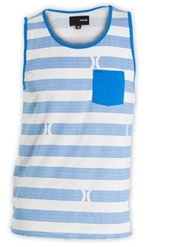 A men’s tank can be worn in the summer with a pair of shorts, boardshorts, twill pant or jeans. As far as footwear goes, tanks can work well with flip flops, boat shoes and sneakers. 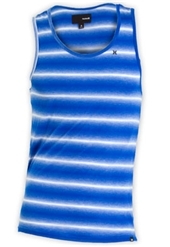 Tank tops made from cotton or cotton blends are preferred most over other types but do not count jersey out. This is most likely due to the feel of the material. Nothing is better than a super soft, casual tank that feels barely there. As far as construction is concerned, tank tops are designed either like a common sleeveless shirt, where the armhole is more “fitted”, or can be styled having a low and open hole where the armpit and parts of the torso can be seen. I am seeing more of a square, straight cut fit trending as well. This means that men’s tanks are not going to be as fitted versus an athletic tank, which is ment for working out. 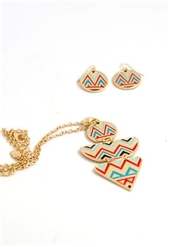 Key styles that are trending this summer are horizontal, tonal, and wide stripes .You will also see allot of Aztec prints, bright colors, graphic logos and retro designs. Make no mistake about it. 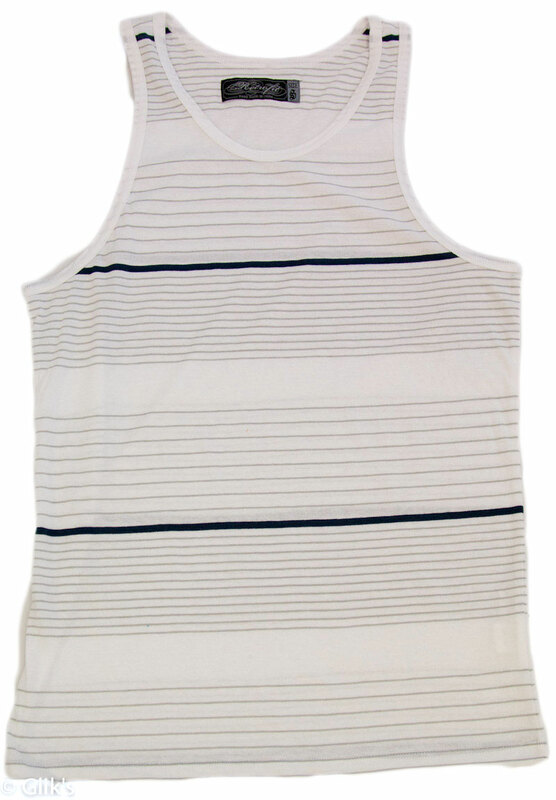 Men’s tank tops are basic versatile essentials. Plus, wearing them is an amazing way of cooling down from summer’s heat when you’re out enjoying the weather. 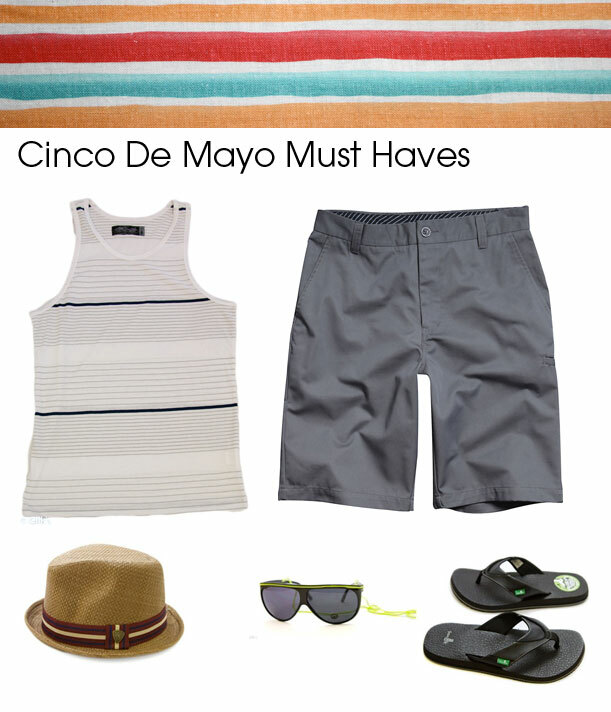 Guys, you can be stylish this Cinco de Mayo weekend by pairing a tank with a pair of shorts, flip flops, your favorite pair of sunglasses and add a little extra “Joe Cool” to your look with a hat. You’ve worn them under your wovens and tees for so long, now just wear them on their own! 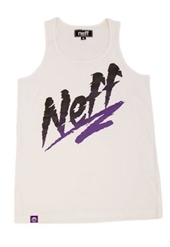 With brands like Hurley, Billabong, Fox and Neff coming out with some rad tank styles this summer, I can promise that you can’t go wrong! Go ahead and stop by any of your local Glik’s store locations or check us out online at gliks.com for any of your summer essentials. We understand that you just packed away all your glitter, feathers and beads from Mardi Gras. But, St. Patrick’s Day is almost upon us and you’ve got some green you need to be getting out! Yes, just like when you were in elementary school, we will be on the look out along with many others for that poor clueless soul who forgot about the pinching rule. So, just to be sure you are prepared for this upcoming holiday we’ve decided to create a list of must haves! Make sure everyone sees your St. Patty’s spirit when you’re wearing a pair of bold kelly green or lime green jeggings from our ever-favorite Flying Monkey. Not so sure about the green jeggings? That’s okay; nothing is better than a super chic St. Patrick’s Day green dress like this one from Hello Miss. Easiest thing for a girl to do is paint her nails a lucky shade of green like Here Today… Aragon Tomorrow from OPI. It’s as simple as a St. Patrick’s Day t-shirt for the men. No, really, he can rep his favorite brand and his holiday spirit. T-shirts are great under hoodies, zip-ups or if the weather is nice just by themselves with a good pair of denim jeans. Even better, opt for a pop of green in your sneaks like the Osiris NYC 83. So, go out, enjoy all that is Irish this St. Patrick’s Day. Eat your corned beef-n- cabbage at the pub; turn up your Dropkick Murphy’s playlist and rage hard. If you happen to be hurting in the St Patrick’s Day apparel department you can find any of these items online at gliks.com or any Glik’s store location nearest to you. 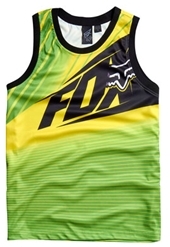 Fox is a globally renowned brand that offers amazing quality and performance merchandise. A family owned business since its humble beginnings, Fox Racing has quickly risen to the top of the industry. Moto-X Fox was launched by founder Geoff Fox as a small distribution business for European motocross bikes in Northern California in 1974. Two years later, the company expanded and began to manufacture high-performance suspension and engine components for racers. 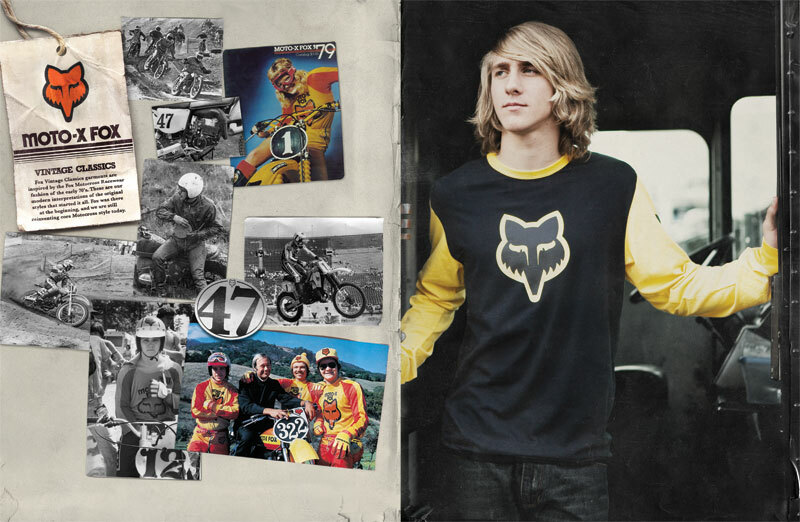 In 1977, Team Moto-X Fox was created. They met with success early on, with their riders taking the top five in their first year. Beyond that, Team Moto-X Fox impressed American motocross fans in a way that was not initially intended. Wearing bright red, yellow, and orange race suits that were hand-made by Fox, they became an instant hit; enthusiasts and fans feverishly contacted Moto-X Fox for availability. Fox Racing has become the world’s leading motocross apparel brand, going on to sponsor, support, and work with some of the best motocross riders in the world. Since its inception, Fox Racing has been committed to developing the finest sports gear, apparel, accessories, footwear, and sunglasses with the racer in mind. Dominating the motocross scene, MX riders now look to Fox for innovative designs. Fox Racing has become an international leader in the action sports and sportswear industry, going far beyond its initial focus of motocross, but branching out to BMX, MTB, skateboarding, surfing, and wakeboarding. With professional athletes endorsing the Fox Racing head logo, Fox Racing has become a household name and will continue to be a staple for the racing and action sports industry. By embracing its family owned values and grassroots tradition, Fox Racing transcends the industry and will continue to create products with the highest quality, performance, and design. Shop Fox Racing for Men in stores & at www.gliks.com. Style File: Fox Fleece & Outerwear! It’s that time of year again! The weather changes, and so does your wardrobe! Tanks, Flip-flops, and shorts will soon be traded out for Fleece, Sweats, Jeans, and Boots! Don’t worry because Fox and Glik’s have you covered! 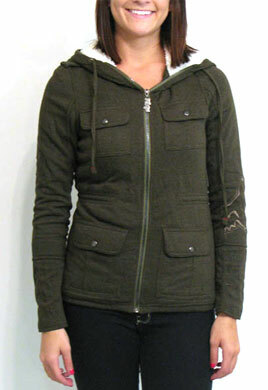 We have some of the hottest styles and colors of fleece and outerwear and it is NOW available in stores and online! Check out some of the New Merch below! For our surprise sales contest in all stores, we had 3 generations of Glik’s selling on the sales floor in our Minnesota and Dakota stores!!!!!!! 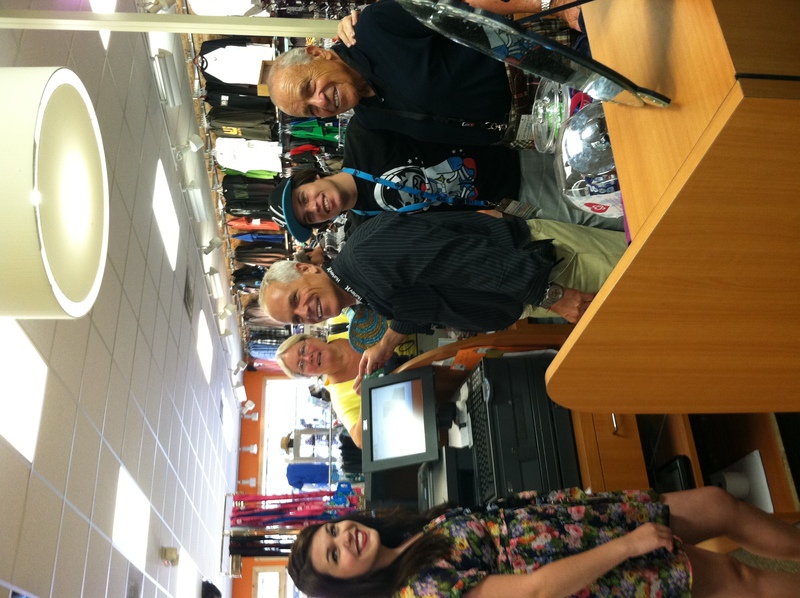 Mr. Glik- 85 yrs old and working hard every day in the office and in all stores! 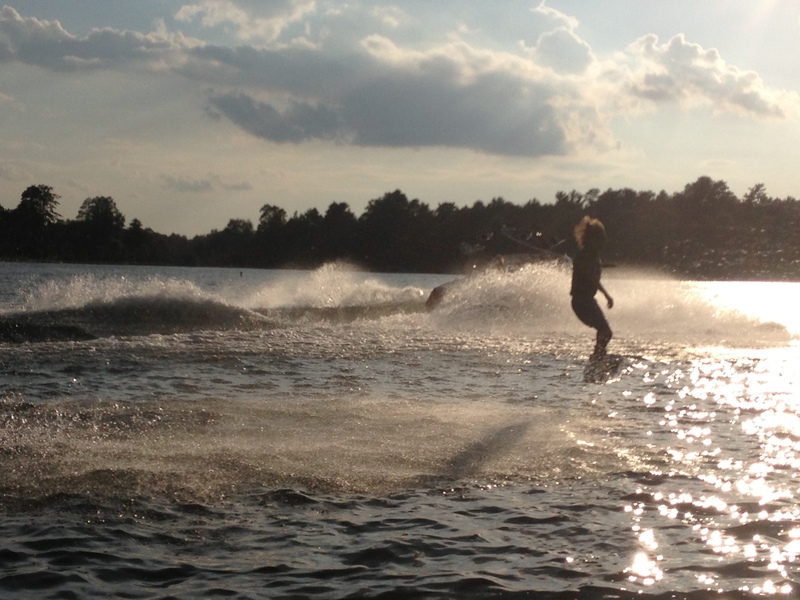 Jeremy Glik- Jeff’s 16 yr old son! Excited to be apart of the famiy business! The trio hit stores yesterday to help promote and sell all of the great new merchandise that just landed in Glik’s stores! 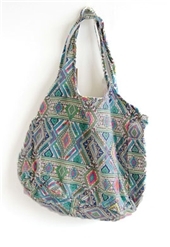 New merchandise from TOMS, LA Idol, UGG’s, The North Face, Fox, & Silver is now available in stores and we have some AWESOME items PERFECT for Fall 2011 and back-to-school! 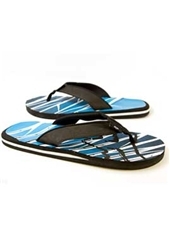 Check out our online store at www.gliks.com!